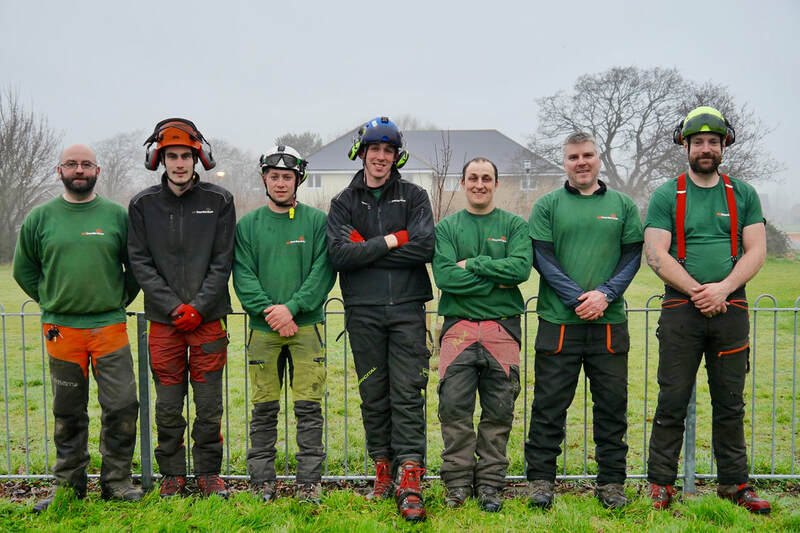 Alan Goldstone of AG Tree Services Ltd, in partnership with with his team of skilled staff, provides a professional service to cover all aspects of tree surgery (arboriculture) and forestry (silviculture). The company, formed in 2010, is based in Broadmayne (Dorset) and prides itself on the high quality workmanship we provide. The array of tree surgery, consultancy and woodland management services we offer is vast and a more detailed list can be found in the 'Services' section of our website. We fully understand and appreciate that each client has different needs - that's why we're more than willing to serve your unique tree related requests. If you are searching for something that is not on our services list, just ask! Whether you have a small hedge that needs trimming or numerous large trees that need removal or pruning, we'll be more than happy to help and can arrange a free, no obligation site visit to discuss your requirements in more detail. Our work is concentrated around the Dorset towns of Dorchester and Weymouth but we also travel anywhere in the county and also to the neighbouring counties of Devon, Somerset, Witshire and Hampshire. We offer a stump removal (stump grinding) service, we can supply seasoned firewood logs and kindling delivered to your door and we make bespoke rustic products out of the timber we cut. ​Our firewood log loads are all hardwood and is predominantly the product of the tree surgery work or sustainable woodland operations. Alan Goldstone, managing director of AG Tree Services Ltd, has a degree in arboriculture, for which he achieved a distinction award and was also awarded the top student prize. He combines this theoretical knowledge with his wealth of experience in arboriculture and forestry, which notably includes tree hazard surveys for the Ministry Of Defence, across numerous sites spread over 5 counties, carrying out in excess of 400 woodland inventory surveys for the Forestry Commission throughout the south-west of England and south Wales and offering planning advise and reports in accordance with BS5837:2012 'Trees in relation to design, demolition and construction - recommendations' to various domestic and commercial clients. Our SMAS Accreditation allows us to demonstrate our Health & Safety competence and is also a member of the Safety Schemes in Procurement (SSIP).